A new poll shows a majority of Massachusetts voters don't want Sen. Elizabeth Warren (D., Mass.) to run for president in 2020 according to a Suffolk University Political Research Center/Boston Globe poll. Fifty-eight percent of likely Massachusetts voters don't want Warren to run while only 32 percent said she should run. The poll also showed a similar number of Massachusetts voters want former Senator and Secretary of State John Kerry to run. Former Governor Deval Patrick has received the greatest support with 38 percent saying he should run while 48 percent said he shouldn't. Kerry has teased another presidential run, while Patrick has been taking more serious steps by launching a new political action committee. "This was a shocking finding to me, given that Democrats like her so much, and she has been making moves to run for president. I would have expected her to be leading this list of potential Massachusetts presidential candidates," said David Paleologos, director of the poll. Warren, who is 69, is running for reelection to her Senate seat and has repeatedly claimed that is her only focus. Ahead of the election, Warren has released 10 years worth of tax returns and records and documents of her time as a professor at Harvard, leading to speculation that making these documents public is part of her preparation for a presidential run. In interviews, some of the poll respondents said they didn't want Warren to win because they didn't think she could beat President Donald Trump. "Part of the reason has to do with gender politics. I think there are still some people out there who won’t vote for a woman, and I would hate for that to be the reason why Donald Trump will be in the White House for four more years," Eva Olsen, a 26 year-old independent from Watertown, said. 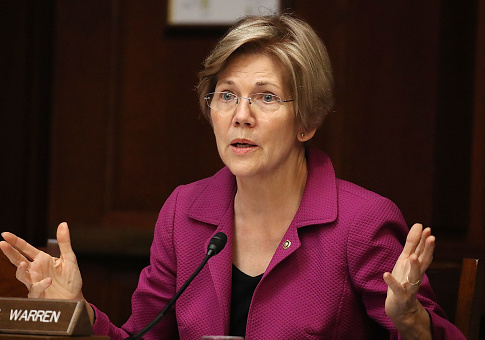 "At this point, Warren will have a lot more negative pushback if she runs because she is seen as more left-wing and she has much more negative branding from Republicans than other candidates," Aviv Hod of Marblehead, a 40 year-old financial adviser said. This entry was posted in Politics and tagged 2020 Election, Elizabeth Warren, John Kerry. Bookmark the permalink.